On the outside, trees can look perfectly healthy, but on the inside they might be rotted to the core. One type of tree rot, called heart rot, is the result of a fungal infection that enters the tree through wounds in the bark. Once inside, the fungus then begins eating away at the center of the trunk and branches killing the tree from the inside out. 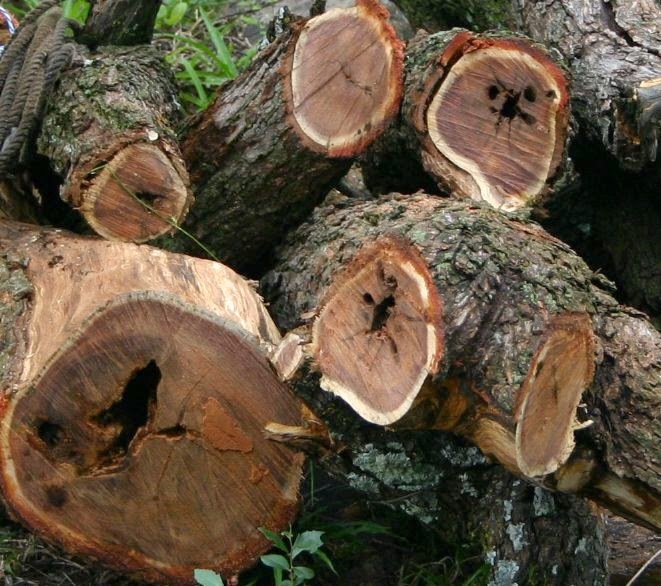 Acacia caffra logs with heart rot. Credit: Paul venter. Because certain rot occurs deep within trees, scientists, carpenters and others cannot know if a tree is healthy by appearance alone. And looking inside the tree would involve invasive methods, like drilling and coring, which might harm or destroy the plant. Therefore, a nondestructive, noninvasive approach is ideal. One of the oldest methods for identifying internal infection in trees, and also wooden planks, was to hit them with a hammer. An attuned ear could distinguish between different tones of the resulting sounds, whether they were a dull or hollow sound and what that said about the tree’s health. However, hammering does not offer any information on how advanced the rot has become. Stress waves are a more sophisticated and scientific spin off of the hammer approach that scientists have used since the 1980's. First, scientists apply two instruments at opposite sides of a tree. They then send a wave from the first instrument through the tree and measure the time it takes the second instrument to receive the signal. Stress waves generally travel more slowly in decayed wood. Stress wave tomography is particularly helpful for identifying rot in large trees with trunk diameters longer than 3.5 inches. Hammering was only effective for skinny trees less than 3.5 inches in diameter. Using this tomographic method, scientists can determine whether a tree is in its initial, intermediate or final stages of internal rot. Moreover, much like an X-ray scan, scientists can create a picture of the trees’ insides to better understand the rot’s progression throughout a tree. Natural Area of Allgheny National Forest. The time a wave takes to propagate through a tree depends not only on the tree’s internal stability but also on its girth, moisture content and type of wood. Even the direction the wave travels with respect to the grain makes a measurable difference. For example, in healthy birch trees, a wave takes about 200 micro-seconds to transmit when traveling parallel to the grain and 700 micro-seconds when traveling perpendicular to the grain. Scientists must know the average amount of time a wave takes to transmit in a healthy tree before they can distinguish between healthy and infected. This makes these types of measurements particularly tricky since each species of tree is different. Scientists continue to try and improve their measurements with more sensitive instruments and improved technology. Recently, a team of international scientists conducted a detailed study on the patterns of transmitted waves inside black cherry trees. In the Collins Pennsylvania Forest, the team examined 12 black cherry trees, of which the health conditions were well understood. 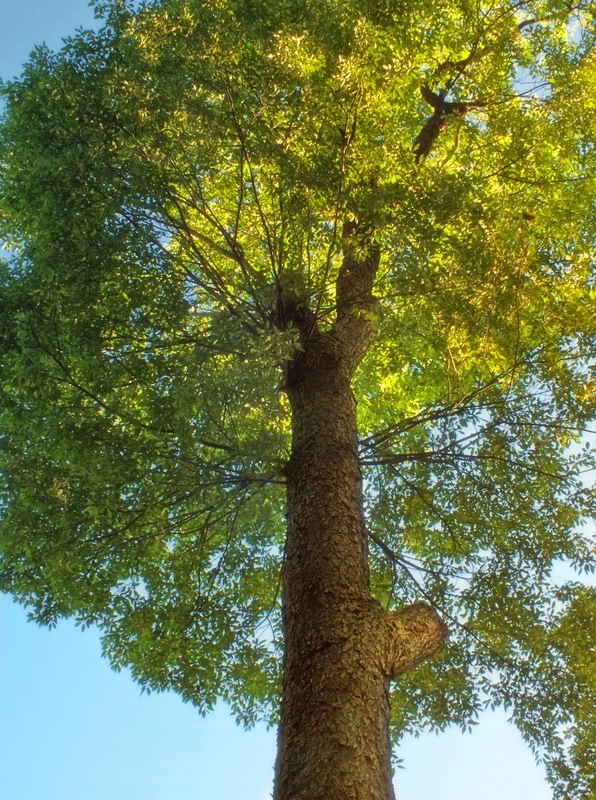 Instead of attaching two sensor instruments around the trees' circumference, the scientists applied 12. The source sensor would send out a signal that the remaining 11 sensors would then receive at different times depending on their proximity to the source. With this method, the team managed to collect a detailed cross-sectional view of the trees. From that, they developed a computational model that can be used to detect the internal conditions of tree species besides black cherry trees, they claim in their paper, which was recently accepted for publication in the journal Computers and Electronics in Agriculture. Was Comet ISON's Eulogy Premature?